New OKCPS Superintendent Sean McDaniel faces several challenges in his first year. 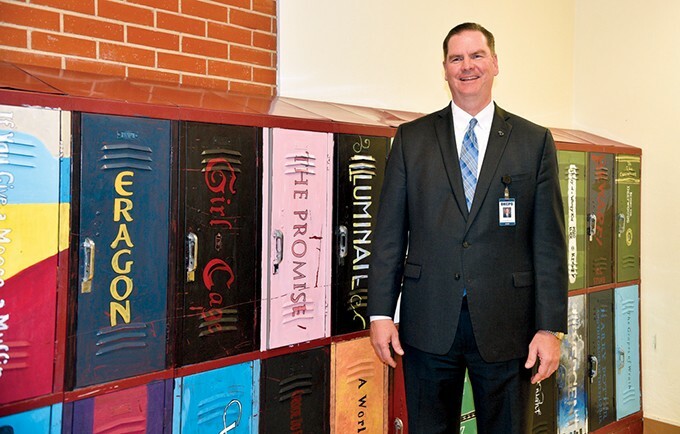 New Oklahoma City Public Schools superintendent Sean McDaniel stands in front of student-painted lockers inside Northeast Academy. Like any student who just moved into town, new Oklahoma City Public Schools Superintendent Sean McDaniel is starting this school year as the new kid in class. Though he won’t have to worry about earning good marks in math or science, there are plenty of other ways McDaniel will be tested in his first year at the district’s helm. The former head of Mustang Public Schools was approved and hired by the OKCPS Board of Education in May. McDaniel, who has more than 30 years experience in education, is far from the first new face to hold the title in recent memory. 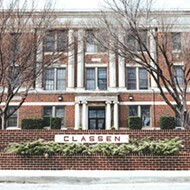 OKCPS is a district lacking stability at the top, having hired 13 different superintendents since 2000. Mustang saw a lot of success under McDaniel’s guidance. He helped pass the largest bond in the district’s history — more than $180 million to support science, technology, engineering and math (STEM) programs. He is also Cooperative Council for Oklahoma School Administration’s reigning Superintendent of the Year. 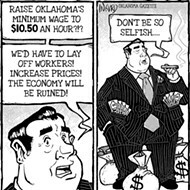 In OKC, however, McDaniel inherits a school district that has had to cut millions from its budget in recent years and includes some of the nation’s poorest academic schools. 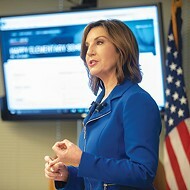 During a recent sit-down chat with Oklahoma Gazette, McDaniel said his aim is to be OKCPS superintendent for a decade or longer. He also spoke on how quickly it will take to get adjusted to the new job and what can be done regarding several of the challenges the district will face this year and in the future. Oklahoma Gazette: A lot of people have talked about the challenges that go with moving into a more urban district from Mustang. What are some of the challenges associated with that? Is it an adjustment you think you can make fairly easily? Sean McDaniel: Well, I don’t think it’s going to be easy. There are some things that are fundamental to school business. Things that I did in Mustang or Deer Creek or other places that I’ve been will translate pretty easily here: just paying attention to each other and being considerate. Now, the big challenge is the volume. We’re talking 12,000 kids, give or take, in Mustang. We’re talking about 46,000 kids in Oklahoma City. That’s big just saying it, so I think it’s a volume issue or challenge for me because I like to get into schools. I like to be visible; I like to go to concerts and ballgames. In a place like Mustang, you have one team. You go to the football game on Friday night. Here, you’ve got multiple Tuesday night, Friday night games and that extends to your fine arts programs and your clubs and activities. So, with good help, I’m going to have to schedule so that I can make the rounds. 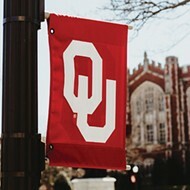 OKG: You also need to understand the unique challenges that affect each school and area. McDaniel: Absolutely. They’re very different schools. Every school has its own unique personality, and [I am] trying to understand the culture. There are certainly some challenges, but I’m looking forward to it. OKG: You’ve said in other interviews that you would like to be around for 10 or more years. McDaniel: Well, yeah. The goal is 10 years. I mean, why not? I’m healthy; I’m kind of young still. I’m going to work for 10 or 15 more years; why not here? One of the most frequently asked questions is Why leave Mustang? Why come to Oklahoma City? I’ve narrowed it down to a couple of things. First of all, the diversity is really appealing to me. We’re a very diverse community and we’re a very diverse and forward-thinking school district. We just have not kept pace, as a school district, with the city. The city is going through a renaissance right now, and we want to be a part of that. The other appeal to me is that I grew up in north Denver [Colorado]. I went to an urban school district, and I grew up in that community — very similar in many ways to Oklahoma City. So, while I don’t know the urban school district per se, I do know urban. OKG: Is there any room for the school district to partner with the city in areas that don’t exist yet? Or maybe not city government, but entities within the city? McDaniel: I think there are already some very strong partnerships between the city and the school district, and I’m learning more about that. Really, at the end of the day, it’s about How do we be the best school district that we can be? … A lot of that is in place, it’s been in place for a long time, and I’m anxious to see how we can accelerate that. 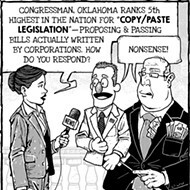 OKG: How realistic is it to expect quick academic improvement when there have been years of budget cuts? McDaniel: I think that’s a question everybody wants an answer to. In some areas of the district we do well. But we have other areas where we have work to do. I think we have to be realistic. I’m not going into this thing thinking, ‘Well, we just need to hang around and try to do a few things for three of four years and maybe we can get this turned around.’ I’m going in with the intent of finding some things right now that we can see change in immediately. I think to get sustained change where the trajectory of test scores is upward, that’s going to take a little bit of time. But I think there’s some things we can probably do and we’ve got some things on the tracks that we’re going to do that will make a difference. OKG: There was the teacher walkout this spring. That was directed at the state, but is there anything the district could be doing to show more support for teachers? McDaniel: I haven’t been around long enough to really know the level of support specifically for individual teachers. I do know our community clearly supports teachers in our school district. … I think specifically we can support our teachers in a number of ways: partnering with schools and being ready to step in for whatever that school needs — supplies, backpacks, mentoring young kids. I think equally big is non-educators appealing to our Legislature to make sure they understand the value of the teacher, that our teachers have significant tremendous impact in the life of a child — maybe more so than any other profession. We took a huge step last year to help teachers. Let’s take another step to help teachers but also to help schools and get more funding into classrooms. OKG: Multiple districts in the area have reexamined their drug-testing policies after the medical marijuana law. Do you think that’s something the Oklahoma City school district needs to do? McDaniel: We haven’t had deep conversations about that, but it’s been discussed on a surface level. I think everything’s got to be on the table; I think we need to examine it. We do not have a plan right now to do anything different from what we’re already doing, but I do think we need to really pay attention to that because that can get pretty tricky. … I totally respect the school districts who are really examining this and implementing new policy. But we’re not there yet. OKG: How are your relationships with the members of the board? McDaniel: I have developed really positive relationships with every board member. I’ve had the opportunity to meet one-on-one with all eight of them multiple times. I’m very, very pleased, very impressed with their sophistication and their understanding of schools. Outside of OKCPS, you hear about board and superintendents and what’s going on over there. As a guy inside now, I could not be more pleased with, most importantly, the heart of each of our board members. They’re here for the right reasons and love kids.